They measured skin lines, vascular problems, age pigmentation, elasticity and texture over a period of 36 weeks to follow changes in the biological age of the skin. While smoking the physical age of the smokers skin was 9 years older than their real age. But just 9 months after quitting the apparent age of the subjects skin had reverted by 13 years. In other words the smokers skin had gone from being 9 years older to 4 years younger than their real age! A Korean study tested the effects of Red Ginseng extract on the skin. Measurement of skin elasticity, hydration and pigmentation marks were all taken to asses skin age. Within 6 months of taking Red Ginseng facial wrinkles were shown to be reduced. This is due to an improvement in collagen synthesis in the skin. In addition, Korean red ginseng offers some protection against skin-aging UVB rays in sun light. So definitely consider taking this supplement if you live in a region with strong sun and high UV exposure. A study into the effects of Aloe Vera on skin age was undertaken at Seoul National University Boramae Hospital. A group of women over 45 years old took 1200mg to 3600mg of Aloe Vera supplements per day. 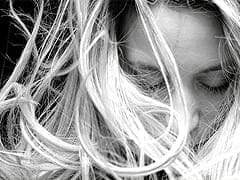 Within 3 months researchers confirmed that facial wrinkles and skin elasticity had improved. Aloe was found to increase the production of collagen and decrease cellular activity that causes degradation on collagen in skin. As study was published in the Journal of Skin Pharmacology and Physiology into the effects of Pycnogenol on skin. The study tested Pine Bark extract, in Pycnogenol supplements, and it’s effects on the physical age of skin. A group of 20 women between the ages of 55 to 65 took 40mg to 100mg of Pycnogenol a day for 3 months. The Leibniz Research Institute in Dusseldorf monitored skin quality over a period of 3 months. They discovered that Pine Bark extract improved skin elasticity by 25 per cent and increased hydration levels by eight per cent. Many healthy foods contain plant sterols. For the health of your skin the most important sterols to get are beta sitosterol, campesterol, and stigmasterol. 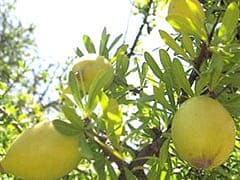 All of these are found in very high levels in Culinary and Cosmetic Argan Oil. Other good sources of sitosterols you can get include plant oils, nuts, seeds, cereals and legumes. The studies revealed that just 30g a day of plant sterols for 6 weeks increased beta-sitosterol levels in the skin surface. The effects of sleep on our skin are fundamental. Without enough sleep, your body releases more of the stress hormone called cortisol. This hormone breaks down collagen reducing skin smoothness and elasticity. 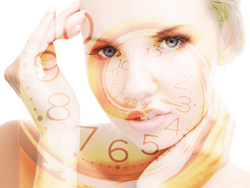 Not getting enough sleep also means we release less human growth hormone and this is needed to maintain healthy skin. Most of us do not drink nearly enough water. Our diets are typically full of dehydrating foods such as coffee and alcohol. A simple way to improve your skin health is by drinking more pure mineral water. Better still, drink water with a squeeze of fresh lemon juice. This helps to alkalise your body and so clear many skin problems. It works because it is able to stimulate Ceramide production. Ceramide is beneficial for skin and it is an important part of the epidermis It is responsible for maintaining a water impermeable barrier to keep in natural moisture levels as well as protecting against harmful micro-organisms. 9. Shield Your Skin When Driving! He had been a lorry driver for over 28 years. Over time the higher level, one-sided UVA exposure from the drivers side glass had resulted in chronic UVA exposure. So, during the summer, and particularly if you live in a sunny climate or drive for long periods, consider using a screen on the driver’s side window. 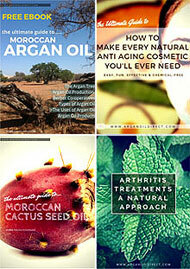 Of course what list of anti wrinkle treatments would be complete without our favourite natural anti aging products. These natural oils stimulate cell regeneration, provide essential nutrients for skin production, moisturise the skin, reduce inflammation. Boosting skin cell renewal and increasing collagen levels restore elasticity to give a more youthful appearance. Argan Oil helps soften and prevent wrinkles, skin blemishes, reduce spots and treat all types of skin problems. Prickly Pear Seed Oil is used to target smaller areas of the face, around the eye, mouth and forehead area and is excellent for reducing dark circles under the eye. Eating the correct foods is also an essential to slow skin aging. Foods can slow and reverse skin aging in many ways. 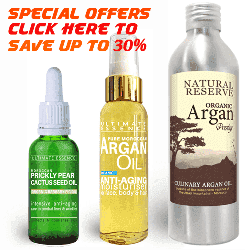 Buy certified, organic Argan Oil and view our latest special offers on our web store. Prices include Free Delivery Worldwide and all products are supported by our money back guarantee. 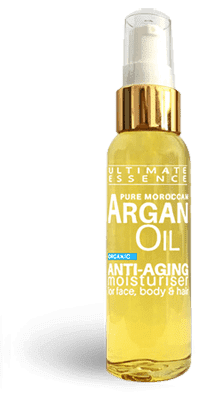 I have been trying your Argan Oil for about 2 weeks for my face and am having great results. But am wondering if I can mix the Argan Oil with an anti aging cream or other oil? for an even better effect? Checkout our article on the website about natural oils for skin care and our article about making your own anti aging cosmetics. I think you will find some good suggestions there. You can contact me at any time by email to ask a question – and dont forget to download our ebooklets which have more information about this.